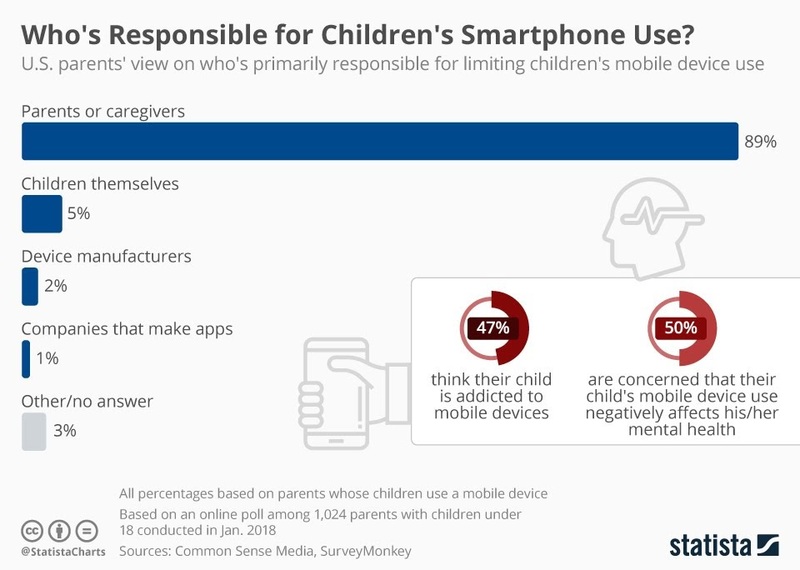 Who's Responsible for Children's Smartphone Use? #Infographic ~ Visualistan '+g+"
Tech addiction is a growing concern in modern societies as more and more people realize that they may be spending a little too much time with their phone instead of engaging in real world activities. Several studies have linked smartphone use with negative effects on mental and physical wellbeing with children seen as particularly vulnerable to the distractive lure of the small screen. 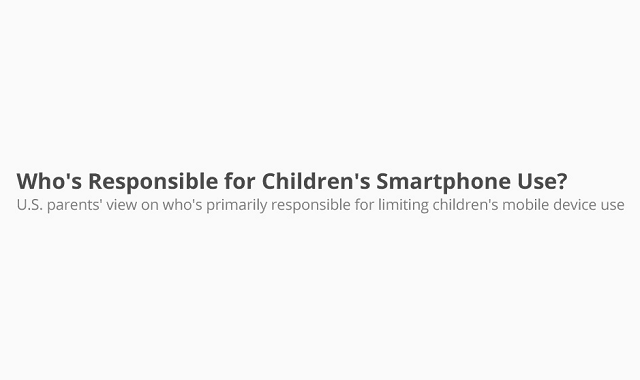 Earlier this year, a group of Apple shareholders even went as far as writing an open letter to the company, asking it to assist further research into the matter and to take measures that would help parents manage their children’s device use.